After weeks of planning we finally went to Blue Mountains on the past Saturday. Blue Mountains is about 2-hours away from Sydney city by train. The area is known for its spectacular scenery, particularly the cliff-top views into the valleys of gum trees and across to craggy outcrops that tower up from the valley floor. But we saw none of these on the day went.. Why?? Because that day the mountain wasn’t BLUE but MISTY!! We went to Chatswood to do some shopping on the past Sunday. 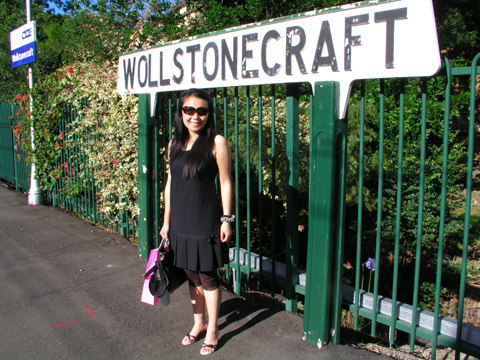 Chatswood is few stops away from Wollstonecraft. A lot of Asians there and a lot of Asian shops there. There is one particular market that I like to go as I can buy “ayam brand sardines” and “100-plus softdrink” there!! Anyway, we didn’t go to that market on Sunday. Instead we went to Westfield Shopping Mall to do some “luxury” shopping. This is the first “luxury” shopping I did in Sydney and it was fruitful. 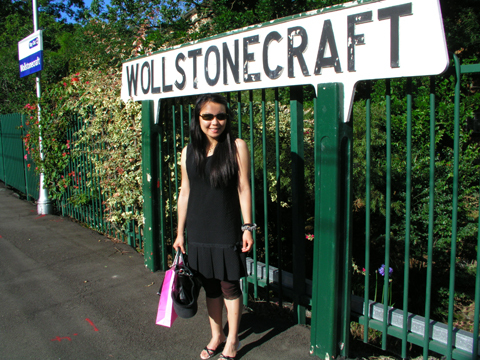 These photos are taken at the railway station of Wollstonecraft after our shopping trip. Can you spot the differences in these two photos? Before coming to australia, my life was almost inseparable with Internet. I eat, drink and sleep Internet. Internet in Singapore was quite affordable at that time as I was sharing with my housemates and each of us had to fork out around sgd 10 per month. With this little amount of money we enjoyed unlimited, high-speed broadband services. Guess what? Today I had an interview in Google. Yes!! GOOGLE!! But guess what was the position I applied for? Programmer? No! Software Engineer? No! Researcher? No!! The answer is “Trainee Sourcer”. What is “sourcer”? Actually sourcer is a position in Google that help the recruiter to find a list of suitable passive candidates who are not working for Google but Google wants them. Hmm.. if I were to be hired, who wants to come to Australia to work for Google?? Hahaha! Hands up, please! The position sounds interesting but it is not what I have studied for. I am not going to apply anything I learnt in the last 10 years in this position and the pay is much lower then what I could get if I were to work with some research institutes (if they are willing to hire me). But it is GOOGLE! Dilemma?! Anyway, I still don’t know the outcome of this interview. Maybe they don’t want me at all. So it is not time to day-dream. Instead, I should just continue with my never-ending job-hunt. We moved into our new place in Wollstonecraft. The place is only 20 minutes to Ethan’s workplace. We are renting a one-bedroom apartment which is on the third floor of the building. The place is very sunny and bright. Quite spacious as well. However the place was not furnished, so we had to buy everything ourselves. Yesterday I went to IKEA and bought a lot of furniture. It was amazing that I handled three big trolleys on my own. I bought a double bed, a sofa, a table, a 3-chest drawer, a coffee table and two armchairs. Spent quite a lot of money to buy all these furniture and we expect to spend more to buy other necessary electrical appliance. Today they delivered all the furniture to our new place. 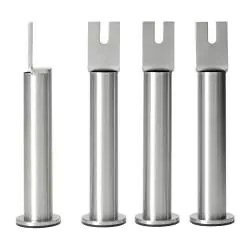 The most interesting part of buying IKEA furniture is that we have to assemble everything ourselves including the bed, sofa, table, drawers and also the coffee table. Because Ethan has to work in daytime and I don’t have the “required strength” to tighten all the screws, we could only assemble one item a day. The first item to assemble was, of course, the bed! This is my bed. Extra firm and comfortable. The bed was not that tough as we only had to attach 4 legs + 1 supporting leg to this wooden-based mattress. 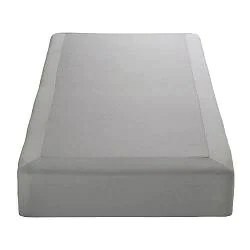 This is, in my opinion, most value-for-money bed (as I really love an extra-firm bed). We spent AUD300 on it! It is really comfortable but I guess I can’t bring it back to Malaysia when we decide to go back to Malaysia in future. Such a waste!